President Obama called for the end of AIDS on World AIDS Day. But achieving that in America requires more public sector funding than Congress has provided to date, and the political climate for more funding is brutal. We could make a classic business Republican argument for more funds: the increases would be trivial in the context of a $3.5 trillion federal budget, and the rate of return on investment would be as high as it gets – reduced public sector health care costs in future years, and improved private sector productivity. It cost next to nothing (in context) this year, and it pays back big for years to come. 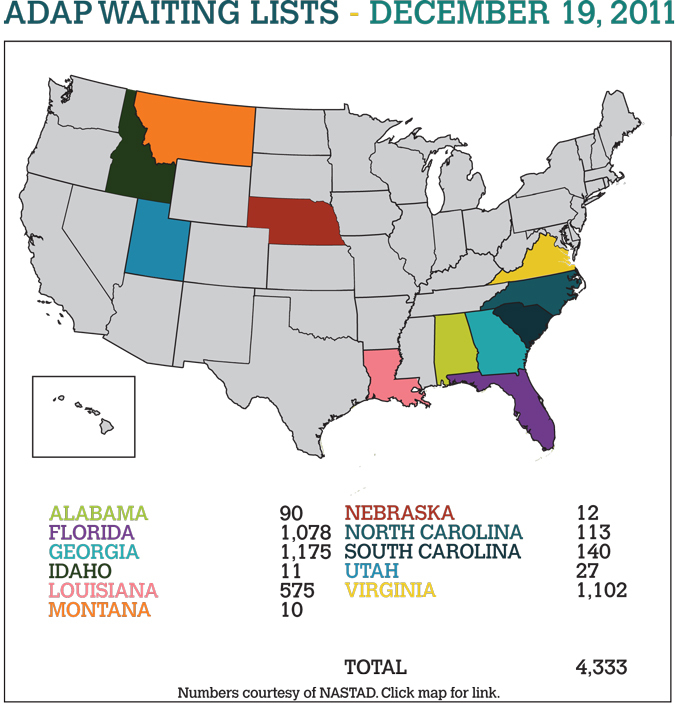 With recent additional federal money, ADAP waiting list numbers have come down some over the past month, but more than 4,000 Americans are still on wait lists. Ninety percent of them are in four Southern states, Florida, Georgia, Louisiana, and Virginia. All four are having financial difficulties in this economy, but the millions of dollars they would have to spend to eliminate their waiting lists are insignificant in multibillion dollar budgets, and spending the millions or not will not make their difficult positions materially any worse or any better. This entry was posted in HIV and tagged ADAP, AIDS, AIDS Drug Assistance Program, Florida, HIV, Louisiana, President Obama, prevention, treatment as prevention, United States, United States Congress.